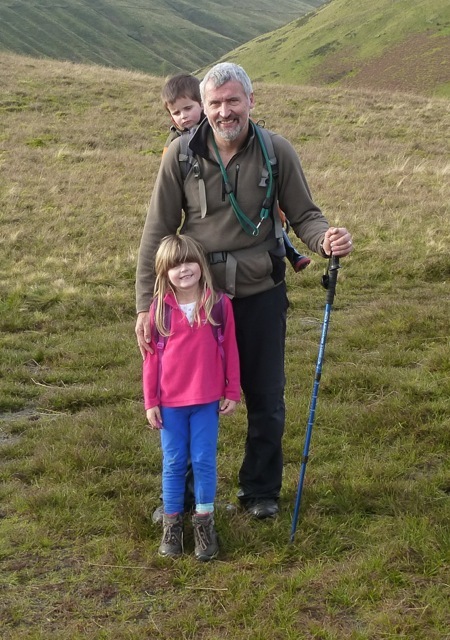 Fix the Fells has benefitted from donations made in memory of Paul Clarkson who lived in Blennerhasset, near Wigton until he sadly died last year. The money was raised by friends Jenny and Mark Lee at their beautiful wedding barn – Three Hills Barn – near Torpenhow at a Burn’s Night ceilidh they organised. Christine and Jenny handed over £400 from the 90 people who enjoyed the ceilidh to Richard Fox, Ranger and Joanne Backshall, Programme Manager for Fix the Fells. This follows a donation of £800 made last year following a collection made in memory of Paul. Fix the Fells aims to protect the spectacular Lakeland fells from erosion and damage by both repairing and maintaining the upland paths. It is a partnership project between the National Trust, the Lake District National Park, Nurture Lakeland, Friends of the Lake District, Natural England, Cumbria County Council and over 100 volunteers. In many areas erosion has led to unsightly scars across the fells which mar the landscape. Vegetation is killed and large volumes of soil and stone is lost, particularly from popular fells like Scafell Pike and Helvellyn. Erosion also leads to soil and stone being washed into streams and lakes where it is harmful to important animal and plant species. Fix the Fells is working to improve these paths and to protect the beauty of this stunning landscape which is appreciated and enjoyed by so many. The work is carried out by teams of National Trust rangers along with more than a hundred volunteers. Over the last 10 years the Fix the Fells project has brought significant improvements to more than 200 footpaths.